Who builds and films the most astonishing and creative Rube Goldberg / Robert S. Petersen-like chain reaction in 2016? Let's build ONE BIG CROSS BORDER EUROPEAN CHAIN REACTION! The European Chain Reaction has won the MEDEA-award for European Collaboration! The European Chain Reaction is the proud winner of the MEDEA-award for European Collaboration 2011! Find out more about these awards here or read the full press release here! The European Chain reaction is a European Quality Label winning eTwinning project that was first organised in 2011. The project is a contest and a European collaboration between primary schools from as many as possible European countries. 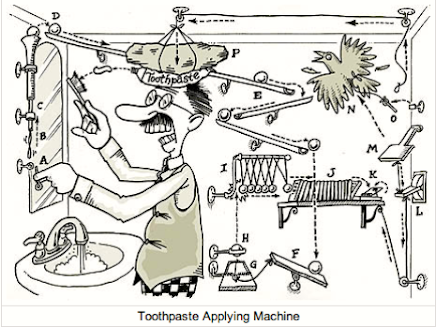 In the contest primary schools compete for the honour and a nice trophy: Which country builds and films the most astonishing and creative Rube Goldberg / Robert Storm Petersen chain reaction? The competing children are the only judges in this game! In 2012 Belgium managed to win the competition by creatingthis chain reaction! In 2013 Norway was crowned the ECR-2013 winner as they made this feel-good and up tempo chain reaction! In 2014 Belgium won the competition for the second time. The pupils created this chain reaction. In 2015 Kindergarten Rasselband from Germany wonn the title with this amazing machine to feed the sheep. In 2016 we will organise the sixth edition of the project. We would like to find some extra schools to participate, so if your country isn't mentioned on this blog and your primaryor kindergarten school wants to join this amazing science competition? Please contact dave at qworzo dot be or find us at the eTwinningforum! To all joining us: have a "sciencerrific experience" and let's all hope the best young Einsteins may win! Human Chain reaction 2016 from Latvia! This is a European Quality Label winning eTwinning project! Yerevan “Mkhitar Sebastatsi” Educomplex of the Ministry of Education and Scinece of RA is a union of educational institutions: 4 primary school-gardens with their kindergartens, a middle school, three high schools, a career college, centers of further education, realizing author (state alternative) pre-school, primary, basic, secondary, preliminary (vocational), career college experimental educational programs. The Educomplex was founded in 1989 by the resolution of the Government of RA with Ashot Bleyan’s author project, on the bases of Yerevan Secondary School 183. There are services of a psychologist, speech therapist, art therapist, sociologist, educator for the children with special needs and of a social employee for the education of children with special needs. From September 2013 all the teachers and learners of Grades 1-12 attend school with their personal note-book/netbooks and tablets giving a good example to all the public schools of our Republic.The audio recorder, digital photo and video cameras and other digital means are everyday used educational tools in the Educomplex. Besides general education, Educompex has different clubs which run according to the regulations of the Educomplex and curriculums of author educational programs. The aim of the clubs is revelation and enhancement of learners’ preferences (natural gifts). 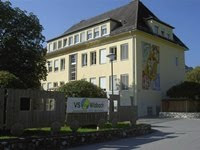 Our Jenaplan –School –Wildbach is an elementary school situated in the south of Graz in Styria. Our children are in the age of 6-10 years. It´s a small school (7 classes) in a rural environment. For about 10 years the profile of our school is working at the main principles of the "Jenaplan". The Jenaplan school-concept was developed by Peter Petersen (1884-1952) at the demonstration school (for pre-service teacher education) of the University of Jena, Germany. 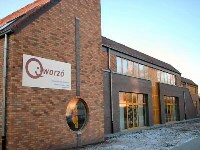 Qworzó is an elementary school in a small village called Merksplas which lays about 70 km north of Brussels. We speak Dutch like they do in the Netherlands, since our school is located in Flanders. Since there are a lot of people in Belgium who speak French we also learn French in school. Our school teaches about 400 children aged 3,5 – 12 years. We are very enthusiastic about the fifth anniversary of The European Chain Reaction and we hope many schools will join the project! Want more info? Visit our website! Elementary School "Žepče" in Žepču was established back in 1880. Teaching in Primary School "Žepče" is performed by two curricula, Croatian and Bosnian. It has a seven regional schools: Bistrica, Lovnica, Lupoglav, Viniste, Seliste, Papratnica and Ravne. Currently the school has 1,344 students. In this school today operate numerous sections: literary - poetry, dance, traffic, floristic, drama, sports clubs, choir, orchestra, and sections foreign languages. We are very excited to participate in the chain reaction 2015! SOU ”Ekzarh Antim I”, Kazanlak, Bulgaria is a public comprehensive school of 1059 students and 96 teachers in the town of Roses -Kazanlak, Bulgaria. Music, Management and English language are offered as specialities for each student from first to twelfth grade, the final year of secondary school education. SOU Ekzarh Antim I is famous for discovering gifted children and offering them varied forms for expressing themselves. 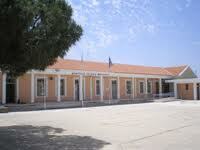 Frenaros primary school is a multicultural school, based in free Famagusta area. It has got 268 students, 144 boys and 124 girls. Also, in the school work 26 teachers and 6 other schools' assistant staff. The school participates in Erasmus KA1, etwining programs, "Chrysoprasino fyllo"program (Greece- Cyprus cooperation program about environmental issues). Frenaros primary school, is a rural school of medium social- economical and educational level status. Though, parents co operate excellent with the school staff for educational results' improvement. The school's building consists of 14 teaching classrooms and 7 other subject classrooms. Our primary school is situated in the village Stráž in the West of Czech Republic. It is located in a beautiful countryside, there are forests and ponds around. Our school is 120 years old. There are 118 pupils in our school (6 – 15 years old). Pupils come from nearby small villages. This is our first participation in the European Chain Reaction. We are very excited that we have the opportunity to take part in this project. We come from a small village called Vrpolje. In the center of Vrpolje , hidden from human eyes is the most interesting place , our school. The school is named after the famous sculptor Ivan Mestrović. We are a small school and we have only 299 students and 42 workers , of which are only 28 teachers. We love our school because it constantly discover new things and apply them to the creation of new knowledge . Teachers  constantly give us new challenges in order to learn as much as possible . We look forward to the our new challenge and we are sure that we will learn a lot of new things but have fun at the same time. Vibeholmskolen is a school with 500 students located just south of the danish capital Copenhagen in the city of Ishøj. There are 2 classes on each year from 0. to 9. grade. King’s Ely is an independent school set in the historic and beautiful city of Ely, not far Cambridge. The school was established to educate the boy choristers of Ely Cathedral over 1,000 years ago, making it one of the oldest schools in the world. There are approximately 350 pupils in King’s Ely Junior and, although we have participated in several eTwinning projects, this is our first time in the European Chain Reaction. We are very much looking forward to the challenge. 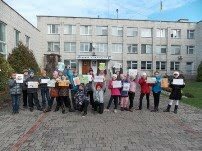 We are a small and young kindergarten from Estonia. Our house was opened in year 2011 and since then, we participate in project-based learning all of the time. All together we have 169 children and 24 teachers! We appreciate new challenges and we are constantly looking for exciting projects! Have a look at this video to have a look in our school! Ohkola school is small school with about 100 students in the town of Mäntsälä, in southern Finland. We have 5 teachers and 4 other members of staff here. The school is located in beautiful surroundings which gives the pupils great opportunities to play outside during the breaks. We focus on very good basic teaching, but also ICT, nature and music. Want to know more? Take a look at our schoolwebsite! The older history thing has, the richer it is. We are proud of our school, because of its eternal history. More than hundred years ago, in Soviet times, in Batumi it was very difficult to set up any new educational establishment, but local community could manage to base women’s gymnasium. In the course of time the gymnasium turned into mixed-gendered public school. Nowadays, the school is divided into two parts. The first one is old historical campus, which was reconstructed, and the second is modern one. Our school has two gyms (but we would like it to be better equipped) the computers class, the biology and chemistry labs. Here you can meet students from all religion confessions and also students with special needs. In the second public school, there are several kinds of clubs where students have possibility to demonstrate their leadership potential. (Such as evil club, drama club, intellectual club etc.) In addition, since 2005 students have great opportunity to participate in all kind of exchange programs all over the world that gives magnificent experience for our pupils to get in touch with European culture and become a part of it. The Rasselbande is a kindergarden with 40 children from 1 to 6 years founded in 1989 by parents. We have our own pädagogical concept to support individual learning. We are in the same building as the Freie Schule Kassel and many children go there after leaving our kindergarden. Aristotelio College is a private school that was founded in 1980 and is located in the second largest town of Greece, Thessaloniki. It includes Nursery, Kindergarten, Primary and Secondary school! This year there are apr. 600 students in our classes. 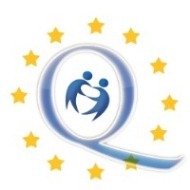 We participate in many eTwinning projects and last year the project "The school that I live and the one that I dream" was awarded with the European Quality Label! Each spring we organize the MUN of Thessaloniki with the participation of more than 500 students from Greece, Cyprus and Turkey. We have a theatre club that has won many national awards. We have a chorus and an orchestra. Teleki Samuel Elementary School is in Érd, Hungary. Érd is a town about 20 km southwest of Budapest, the capital city of Hungary. The school was established in 1933. The name, Samuel Teleki comes from a famous Hungarian geographer and explorer who mapped the last white spots of Africa in the 19th. century. We have chosen this name in 1991, because the school aims to educate students to become responsible, creative and thoughtful young teenagers. Our school is a member of the Hungarian Eco-School Network. Now we have about 500 students from 1st to 8th grade. Elementary school starts at the age of 6 in Hungary and our students continue to secondary schools at the age of 14. Ther are 59 employees in our school, including 44 teachers. The school has started to take part in international European projects three years ago. We are looking forward to take part in the European Chain Reaction. We - especially the students of year 5 - hope that it is going to be a great challenge and fun for us. Flataskóli is a compulsory elementary school. The pupils are from 6 to 12 years old (1st to 7th grade) In the school are nearly 300 pupils and about 50 members of staff, teachers and others employees. Flataskóli is located in Garðabær, a town of 10.000 inhabitants, 14 km south of Reykjavík. Flataskóli is the oldest educational establishment in Garðabær and the school is founded on trust and stability. Good behaviour together with a positive attitude and ethos are hallmarks of Flataskóli. The school has a speicial outdoor teaching area in a grove nearby in harmony with a stream and lava. The seashore is within walking distance from school. Our school is a small rural primary school the village of Newmarket in Co. Kilkenny in South East of Ireland. We have 56 pupils and 4 teachers. Our pupils are aged 4-12. We love to take part in eTwinning projects. Osishkin School is the heart of Ramat- Hasharon City's Community. It allows a place for a large diversity of students for ages 6-12. Our school aspires for excellence and welcomes educational and learning achievements focusing on emotional and social skills. We wish for a positive environment for our children which enhances their sense of belongingness and cherishes the uniqueness of every child. The school's team of teachers work in collaboration to guide the students and help them fullfill their potential. They set a goal for themselves to help students search and discover new paths while learning that teamwork and friendship are a way of life. There are no limits to the children's dreams- everything is possible and even the sky is not the limit! Our School is located in Ghilarza , a town of 5000 inhabitants in the centre of Sardinia, close to an artificial lake, about 50 Km from the West coast of the island. In its surroundings there are lots of archaeological sites ( Nuragic and Romanarchitecture and civilisation). 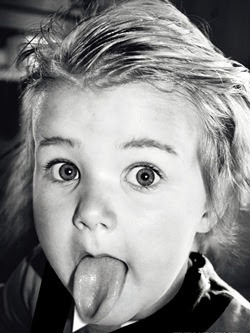 Sardinian people speak two languages: Sardo and Italian. Our school has about 225 children aged 6/11 and 20 teachers. In school year 2010/2011 we started our European adventure thanks to the presence of a Comenius Assistant and we won the European Label 2011!!. Want to learn more about us? Visit our website! school doors opened in 1971 in its first generation and in 1999/2000 school year, pupils and teachers chose her a new name: „Juventa“ High School.Our school always was famous of it‘s music. Our school is famous not only for his musical achievements. Our students actively participate in various arts, sports contests and competitions. The school is decorated with ever-changing exhibition of works by students. Students participate in various projects: the Comenius, eTwinning, the city and the republic. You can find a primary school drama, road safety, the fine arts section in „Juventa“ school. Visit our website! Our school is a French School in Luxembourg, which means our students are mainly, but not only, French and we follow the French curriculum. Our public are expats working in Luxembourg. The school has 623 students this year and goes from preschool to year 5, with three or four classes in each year. we are very excited to participate! “Tode Hadzi-Tefov” Primary School was founded in 1962 by the local authorities in Kavadarci, Macedonia. At the moment, 768 students study at this school. Students are aged from 6 to 15 (from first to ninth grade). Students from first to fifth grade start school at 7:30 a.m. and finish at 12:30 p.m. Students from sixth to ninth grade start school at 1 p.m. and finish at 6:30 p.m. There are 58 teachers and 15 other employees in the school. There are 17 classrooms and 5 cabinets (specialized classrooms). There are 538 computers in the school and there is a computer for every student in the school and an internet connection. Students study in their mother tongue, Macedonian language, which is the official language in Macedonia. Students also study English, French and German. There are 6 teachers who teach English, one teacher who teaches French and one teacher who teaches German. Our school has won the award as a Green School in Macedonia three times. Have a look at our schoolwebsite here! 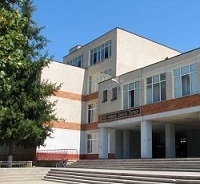 Our school is entitled Theoretical Lyceum "Nicolae Balcescu". It was founded in 1988. It is a school from a rural region. We have about 700 students that come from different villages from the neighbourhood. We have 40 classrooms, 1 canteen, 1 library, 2 gyms, a teacher's room, a festivity hall. 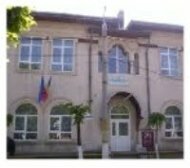 The school is situated in Ciorescu, a small village, which is not far from Chisinau, the capital of Moldova. Our students are fond of working with something interesting and excited like this kind of project. Our school is located on the south coast of Norway, just outside the center of Kristiansand. Kristiansand is Norway’s no. 1 summer holiday resort and the fifth largest town in Norway, with 85000 inhabitants. Situated in a rural area, the school is surrounded by a forest, and within a short walk we also have lakes, the sea, beaches and mountains. We try to use our natural surroundings in our everyday school life. Kringsjå school is a primary school and this year we have 225 pupils from 1st to 7th grade. Norwegians start school at the age of six and leaves for secondary school at the age of thirteen. At our school we have 30 employees, 18 of them are teachers. Our school has been involved in international projects earlier, and we are happy to take part in this event. The 33 pupils in the 6th grade are our participants in the European Chain Reaction. We are looking forward to this challenge! 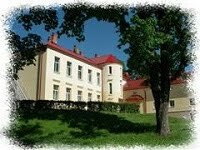 Our school is a primary school situated in the village Kazmierz (in the West of Poland). Our school has got two buildings. The older one was built in the 19th century. The second building is from 1967. The Primary School António Vitorino, is located in the parish of Vieira de Leiria, municipality of Marinha Grande and Leiria district. It is a building with ground floor and 1st floor with eight classrooms, covered courts, a playground and outdoor playgrounds. There is also a Mediatheque / Library which serves to support students of 1st cycle. The students are aged between 6 and 10 years of schooling. The school is open between 8.30 am until to 18.30 pm. Students frequent the disciplines of Portuguese, Mathematics, Environmental Studies, Expressions, Sports, Work and Study Support Integration and still the Complement Curricular Activities: English, ICT, Expressions, Physical Activity and Dance." "Petru Rares" School from Hirlau, Romania was founded in 1856. The school currently has over 1,400 pupils aged between 6 and 15 years. The school has a reputation, his students won numerous academic competitions. We are glad that we are part of this eTwinning project. Good luck in making activities! Scotland will be represented by Yester Primary School, from the small village of Gifford, which is in the hills, about 35km south east of the capital city, Edinburgh. The Primary 3/4 class are looking forward very much to taking part, and to seeing the chain reactions from around Europe. Good luck to all schools! Visit our blog page here. The name of our school is "Zmaj Jova Jovanović", Ruma, Serbia. We are a Primary school. Students of our school are from 7-15 years old. We will working on this project whit 11-12 years old. Teachers and students participate in ​lots of projects and competitions. We like to work with ICT on our classes. Our school has participated in over 20 projects on eTwinning. One of them is "Girls in ICT" which was awarded with the European quality label. Humenné is a town in the Prešov Region in eastern Slovakia and the second largest town of the historic Zemplín region. It lies at the volcanic Vihorlat mountains and at the confluence of the Laborec and Cirocha Rivers. Its life is rich in cultural and sports events. The town is a starting point for tourism, because there are numerous opportunities in the picturesque countryside of the East Carpathians. The most attractive places are the Vihorlat Mountains boasting of their Morské oko lake, and the Poloniny at the border of Slovakia, Poland, and Ukraine. The surroundings of Humenné, with their romantic ruins of medieval castles and an open-air museum of architecture situated in the town park, are a source of knowledge and relaxation. Have a look at our class blog here. Our school lies in Preska, a village not so far away from Slovenia's capital Ljubljana. It consists of two parts: the old and the new one. In the old part we have classrooms for art classes, history and craft, a dining room and a kitchen. We also have a very friendly chef, which will always make you laugh. In the new, bigger part, there are classrooms for Science (Chemistry and Physics), Math, Slovene, English, Music, Biology, Geography and a computer classroom. There are also two gyms and a library with over 14,000 books. Primary school Preska is visited by students from villages Preska, Golo Brdo, Studenčice, Goričane, Sora and Dol. It also has two branch schools in Topol and Sora. There are about 400 students in our school at the very moment. Want to know more? Visit our website! Escola Casa Nostra is in the town of Banyoles in Catalonia, which is near Girona. The primary & high schools are set in beautiful gardens on the shores of Banyoles lake, which is the largest natural lake in Catalonia. Our pupils range from 0 to 16 years of age and learn Catalan, Spanish, English and French, amongst other things. The 6th grade multimedia group who are 11-12 years old are looking forward to participating in ECR2015. Have a look at our school website here! Rodeby primary school is situated in the village Rodeby. In the countryside just 10km north of Karlskrona in the south of Sweden. We have about 450 pupils in the age of 6 to 13. But the school also have a lower secondary unit. We love networking with schools from around the globe. There is so much to learn from each other. The world is getting smaller and we need to learn more from and about our friends around us. This way we also learn a great deal about ourselves. We have been involved in Comenius Projects and we are deeply involved with a partnerschool in Southafrica. We have a high ICT standard at our school and we hope to get many pupils and teachers involved in this lovely project. All the best! School Kastanjelaan is situated in Leiderdorp a city of 25.000 inhabitants.The youngest pupils are 4 years old and the oldest are 12 years old. We have 8 different classes and 235 pupils. Our class sizes vary from 16 pupils in our smallest class and 34 pupils in our largest class. The majority of our pupils (allmost 95%) is native Dutch. Our school was founded allmost 80 years ago. The city of Leiderdorp is very near the the city of Leiden. The cities are seperated by two rivers, the Zijl and the Rijn. The history of Leiderdorp starts in Roman times. In the city there are 33 monuments including several windmills. We have worked on several Comenius and eTwinningprojects before and we are looking forward to working on the chain reaction! 75. Yıl ilkokulu is situated in Sandıklı-Afyonkarahisar in the western part of Turkey,The city is well-known with thermal water-spa centers and valuable marbles.In our school there are enrolled 309 pupils aged between 5 and 11. We carry out successful eTwinning projects with European schools and our school is only pilot school for itec project(designing the future of classrooms-supported by European school net) in our region.We are strongly interested in encouraging foreign language learning, innovative ICT-based content and better teaching techniques and practices.We think it is very important for pupils in this mixed community to begin to see themselves as citizens of tomorrow's Europe in the wider context of diversity within a common European heritage. The school board, the students' council and the parents' association strongly support the European activity of the school. Hello to all the participating countries in the competition. Our Gymnasium is situated in the beautiful city Bila Tserkva, which lays about 70 km south of Kyiv. There are about 1000 students from the age of 6 to 17. Our native language is Ukrainian, but children learn English as a foreign language. Pupils are ready to build a chain reaction and eager to enter the competition. We are glad that we are part of this eTwinning project. Good luck to all schools!